The Quad GU10 Studio Spotlight is a perfect fitting for anywhere in the home or office. 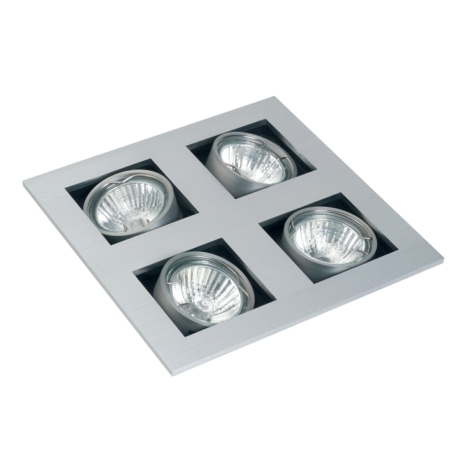 It is ideal for the kitchen, bathroom or bedroom to add style to any ceiling lighting. Fitted with any of our GU10 LED Bulbs it offers a cost effective, low energy solution to LED Lighting. No these fittings are not fire rated, they would require additional fire hoods to be fire rated. Does this come in other colours, such as white? This light needs to be recessed in the ceiling.